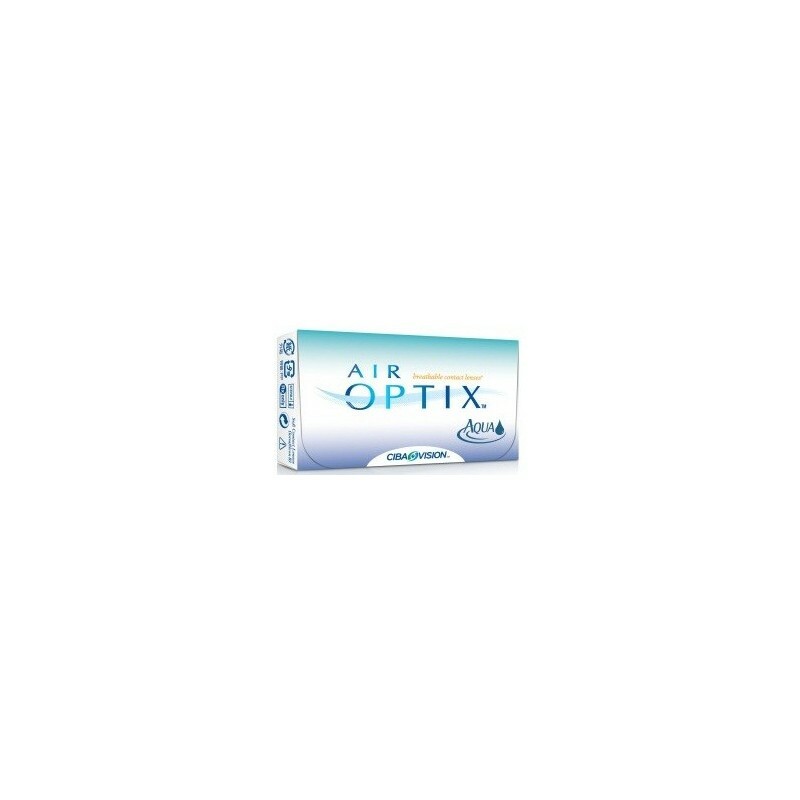 Air Optix Aqua (3) contact lenses - . 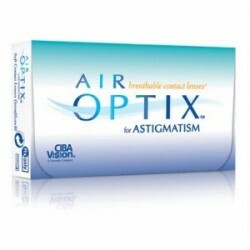 Air Optix Aqua contact lenses are a high quality silicone hydrogel contact lens. 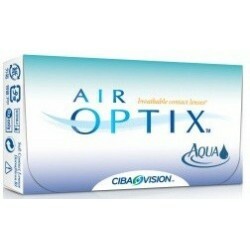 Air Optix Aqua has an improved surface treatment compared to standard Air Optix contact lenses. 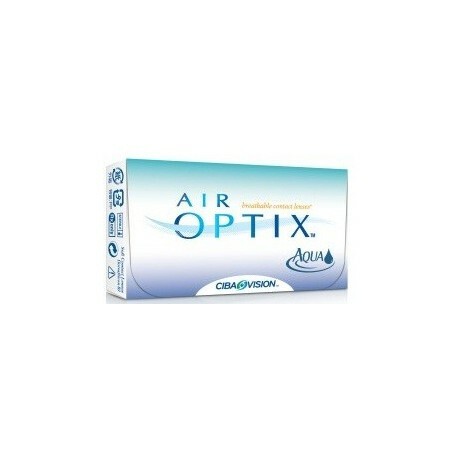 Air Optix Aqua - silicone hydrogel contact lenses made from a revolutionary material that allows up to 5x more oxygen through the lens than traditional contact lenses—for healthy-looking and healthy-feeling eyes. 3-pack. What is special about this new contact lens is the AQUA-wetting technology in conjunction with its patented biocompatible materials and their deposit resistant, smooth surface. 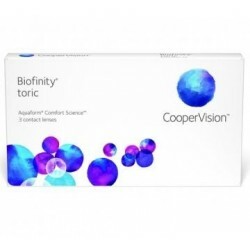 The AQUA-wetting technology makes the lens surface smooth and supple and allows the eyelid to glide gently over the contact lens - already at the first contact. The patented material minimizes the drying of the lens and keeps it moist the whole day long . The unique plasma coating causes an excellent deposit resistance. The combination of moisture and oxygen permeability provides a better and prolonged daily comfort. Type Disposable soft contact lenses.